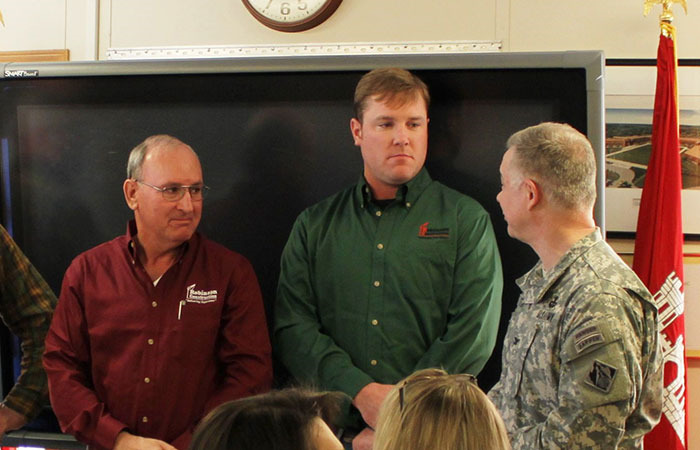 Robinson earned the Safety Saves Award from the US Army Corps of Engineers-Kansas City District for safe performance of work on the Elevated Water Tower project at Fort Leonard Wood, Missouri. The award was presented by the District Commander at a meeting held at the base on January 16, 2014. Project Superintendent John Clutts and Project Site Safety and Health Officer Michael Remley accepted the award on behalf of the company.